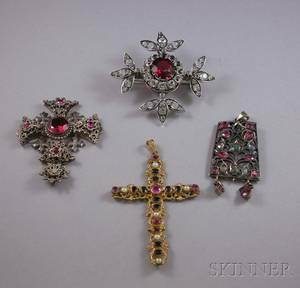 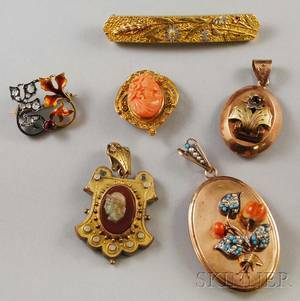 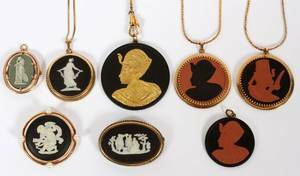 Nine cameo pendants and brooches , two with 10K gold mounts. 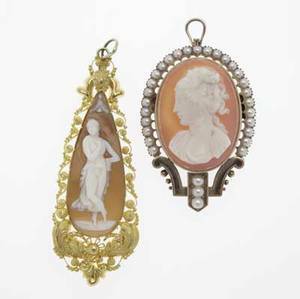 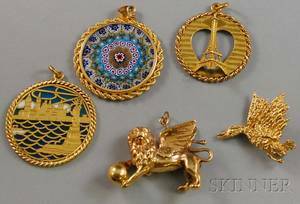 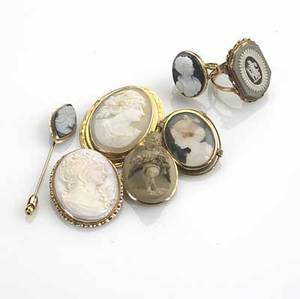 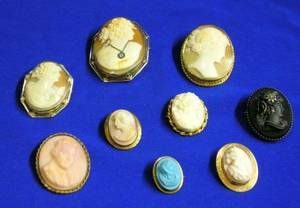 WEDGWOOD CAMEO PENDANTS & BROOCHES 8 PCS. 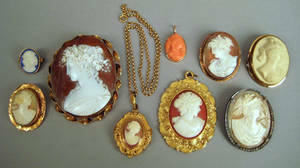 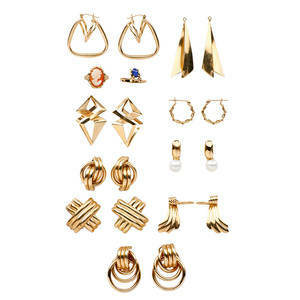 Nine pairs gold earrings and two gold rings eight pairs of earrings or ear pendants and a ring in 14k gold; pair 18k gold and pearl earrings; 10k gold cameo ring. 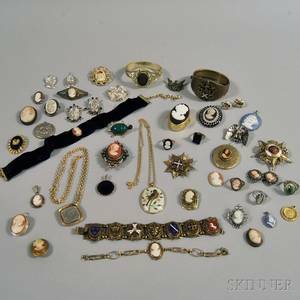 20th c. 33.2 dwt.